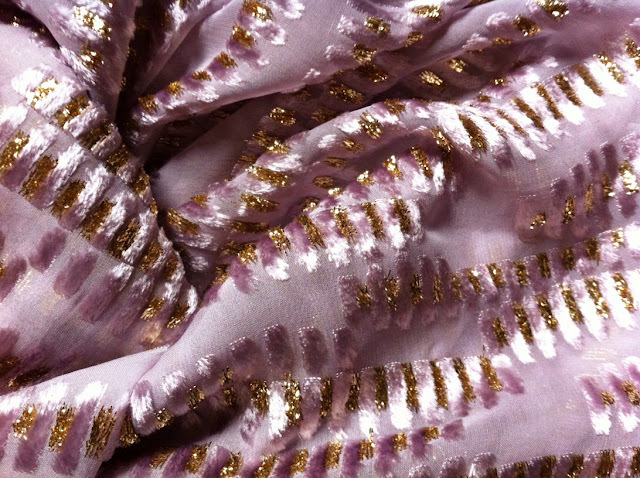 I'll be waiting excitedly to see what you make with that velvet burnout gorgeousness! oooo you would work this fabric. i wish i could teleport half of everything i buy to you just so we could compare closets. You are the ultimate Mood girl, everytime I go in there I think of you! LA misses you so maybe you should come back out here and, you know, save on all that online shopping.... And have more food. And drink. And, well, just come back already! NY has a mood. just not a julian &co. COME. TO. NEW. YORK. Yay Oona! Can't say I'm surprised ;) But so looking forward to seeing more divine creations--that velvet is gorgeous!! Yay! This is so cool! I am so glad Mood is doing this, and you really deserve it! Congrats on your Mood awesomeness! And I would love to get my hands on some of that velvet burnout. I can see it as a short kimono sleeve jacket. i should start bookmarking the stock numbers of what i by in store so i can find it on line.... i love the jacket idea! Unpacking can wait. Fabric-play first. Always. 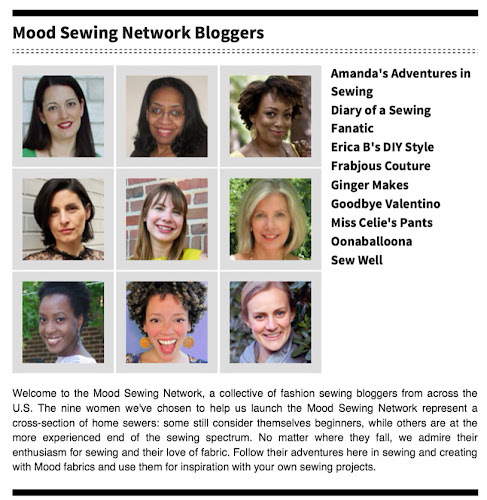 Well done on the mood sewing network - you're certainly in fine company. I shall look forward to sewing fabulousness, jazz and drinking from you... while I do my bit on this side of the globe. I'm very excited for you! And it looks like you're among very good company-- I've had at least half of those bloggers on my blog reader for awhile. Brilliant move on Mood's part! thank you becky! the network is stepping up my game (i HOPE). I'm so proud of you! And jealous. But proud AND STILL JEALOUS. In any case, drape the fabric over your dress form and pin a note that says "I'm your reward for unpacking". thanks girl! i love that idea, especially still neither fabric nor boxes have really been touched. mais... my dress form is history in los angeles. maybe i can tie it to one of the cats as a constant walking reminder to keep my eyes on the prize? Ooooh! The benefits of being able to see fabric in the store. Such a beautiful fabric! you are SO good at picking out online, i don't know how you do it. i've been spoiled! This is SO fantastic. BEYOND Fantastic!! I'm excited. For you, by you. The whole she-bang. thank you miss buttontree, and YAY SEWING! YAY COLORED TIGHTS! Is there more yardage to unpack? Or sewing supplies? No wonder you're distracted, though. I'm distracted, and it's only a picture! First time reader.... Me likey. You are one lucky lady - and that burnt out velvet is DELISH. Can't wait to see what it gets transformed into! thank you, and yes, lucky indeed! Nice to meet you. I look forward to reading your future posts. OONA!!! CONGRATS GIRL! This is such exciting news! You certainly deserve it and I CAN'T WAIT to see what you do - also, burnt out velvet... yum. 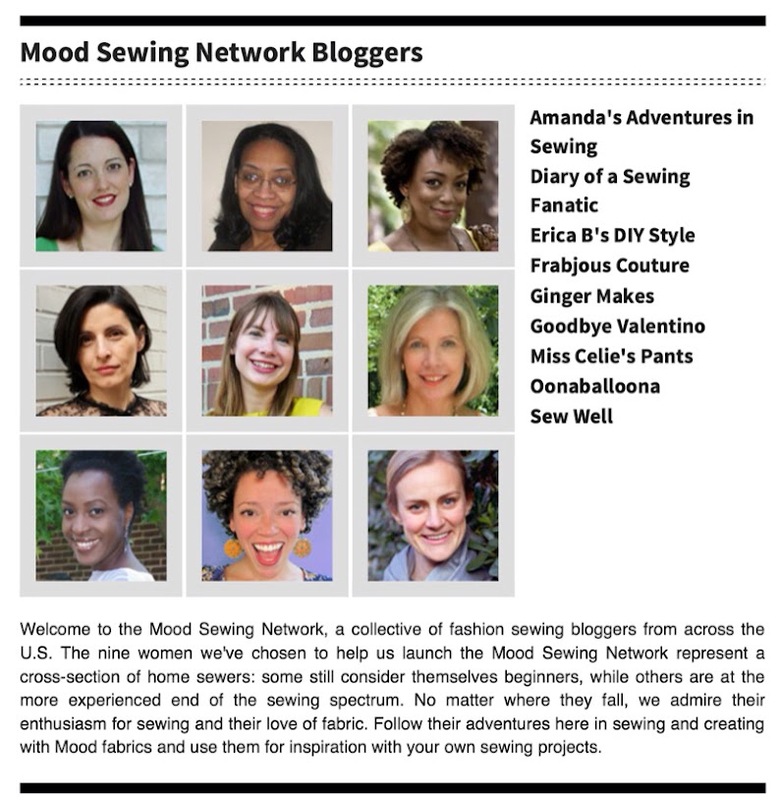 That velvet looks absolutely delicious, and congratulations on being a Mood network sewing blogger! thank you! i'm sad we never got to mood la together... go. go, go, go, they even have three remnants boxes. Wow, that really is an all-star team! How exciting! thanks clio! i really couldn't believe it. it's hard! well, hard in a really really good way, but you know... what to PICK. Congrats! I can't wait to see the projects that come from this. teehee, thank you, me too :)! what fun! looking forward to your wonderful creations! how lucky you are indeed but you completely deserve it! I'm not surprised they asked you and I'm so excited to see what you create with their fabric! Fabulous! Looking forward to seeing your creations. OMG Oona this is THE BEST NEWS EVER!! and well deserved. I cant wait to see what you whip up. Good things come to those who work hard and that's you fancy pants.